Artech Metropolis is Trivandrum’s first ‘child-friendly’ Apartment project of the ARTECH group, set in the well-connected & idyllic Mannanthala locales.Artech Metropolis offers 2 & 3 BHK Apartments measuring 1250 sq.ft. to 1790 sq.ft., in 4 layout options. With amenities like Spa, Sauna, Party Space, Guest Suites, Wi-Fi Lobby, Health Club, Artech Metropolis stands for luxury that is affordable without compromising the perks.Some of the city’s prestigious and sought after educational institutions are just a stone throw away from Artech Metropolis. A number of other kid-friendly facilities like a world-class crèche, tuition rooms, play area, swimming pool, multi-sports courts etc. are also offered here, thereby reaffirming the Metropolis’ position as truly being a ‘children’s project’. (All plumbing services passes through the walls are solid block). Concrete grade and Steel grade as per structural consultant’s advice. Car park Area : Grano flooring with grooves or exterior grade paving tiles. Utility Room : 30cm X 30cm for floor and 30cm X 45cm for walls upto 4’6” height and 2’ above the counter if any. Balconies / Open Terraces / Decks: Rustic / antiskid / ceramic tiles 30cm X 30cm or MS railings. Sanitary fittings: EWC wall-hung, concealed cisterns GEBRIT / GROHE make, counter washbasin and all sanitary fittings shall be of Roca / American Standard or equivalent. Other Toilets: Shall be 3 in 1 mixer CP finish, Over head shower, health faucet by Jaquar or equivalent. Kitchen & Service area: Wall mounted Faucets / taps using JAQUAR or equivalent. Window shutters: Prefabricated colour anodised aluminum / UPVC. Door Frames: Main door frame and shutter shall be of seasoned teak wood. Outer face to be PU coated and Inner face melamine finished. Door Shutters: All internal door frames shall be of seasoned wood / hard wood with flush door shutter. All internal and external faces shall be melamine finish. Hardware: All hardware shall be in C.P Brass, tower bolts, doorstoppers, ball bearing hinges. Locks shall be mortise of Dorset /Yale make or equivalent. Switches: All switches shall be Legrand / Schneider or equivalent make. Generator: Power backup will be provided for all common services and selected light and fan point in each living, bedrooms inside apartment and a refrigerator point except Air-conditioning and Geyser points. Provision for Split ACs, shall be provided for the Master Bedroom. Internal wall plastering work -BF1 (70% completed); GF, 1st-6 th floor (100% completed),7th floor -80% to becompleted. Water Proofing work – GF – 100% completed; 1st 6 th floor – 100% completed. MLCP Pile cap work completed. Internal wall plastering work -BF1 (70% completed); GF, 1st,2nd floor (100% completed);3rd floor -(100%completed ),4 th floor -100%completed,5 th floor -100 %completed,6 th floor -25%completed. Internal wall plastering work -BF1 (70% completed); GF, 1st,2nd floor (100% completed);3rd floor -(100%completed ),4 th floor -100%completed,5 th floor -25 %completed. Column work – 12th floor – 100% to be completed. RCC for slab – 12th & 13th floor – 100% to be completed. Block work – 10th floor – 100% to be completed. Ceiling Plastering work – 11th floor – 100% to be completed. Wall chasing work – 8th floor – 100% to be completed. GF column work – 100% to be completed. GF roof rcc work – 60% to be completed. Column work – 12th floor – 50% completed. RCC for slab – 12th floor half portion – 50% completed. Block work – 10th floor – 25% completed. Ceiling Plastering work – 10th floor – 100% completed. Wall chasing work – 8th floor – started. Internal wall plastering work – GF (100% completed); 1st floor (100% completed). Water Proofing work – GF – 50% completed; 1st floor – 100% completed. Water Proofing work – GF – 100% to be completed. Work status as on 9-5-2017, we have completed the following. Work status as on 14-04-2018, we have completed the following. Work status as on 09 -02-2018, we have completed the following. Work status as on 8-2-2017, we have completed the following. Two important things that should never be far from your mind when buying a home are its location, as well as its builder. When you go with a branded product, you can be sure that what you are promised is what you will be getting. After all, the brand has its reputation at stake too. This is also why when selecting your future home, you should go with a branded builder. Artech Realtors have been in the business of creating dream homes for over two decades now and have the experience to provide uniquely-designed homes with the best of features and amenities. There is an Artech home in every great locality which is also why apartments in Mannanthala are generating great interest. These sturdily-crafted homes are built to withstand the test of time, and offer you addresses to be proud of. 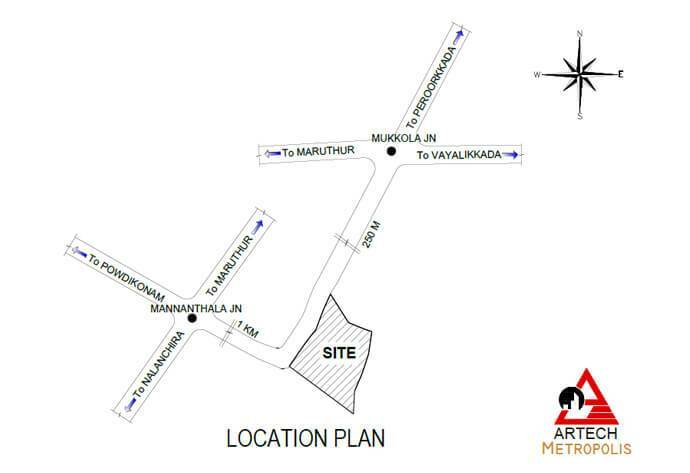 Artech apartments in Mannanthala are for the discerning homebuyers who can recognize quality when they see it. Mannanthala is a peaceful suburban locality in Trivandrum city, the capital of Kerala. It is an idyllic well-connected area where you can reach any part of the city through the Main Central road. It also leads to an exit out of Trivandrum city towards Kottayam and beyond. Many of the city’s prestigious and sought-after colleges and educational institutions are located just a stone’s throw away from here. Flats in Mannanthala, especially those built by Artech Realtors, are always worth looking into as you are assured of quality homes.